Many Americans think that the reactionary anti-labor and ultimately selfish philosophy guiding most of the US conservative movement today got its start during the years Ronald Reagan was president. We know the basics of this philosophy: no government aid to working people, even when they are out of work; military and police enforcement of business endeavors, including the breaking up of strikes and other labor actions; claiming to be for free enterprise but demanding government subsidies and other assistance. Those are but the main elements of this philosophy. Of course, it is underlined with racism, hatred of the poor, and a Christianity that blames the poor for their own predicament and equates wealth with godliness. 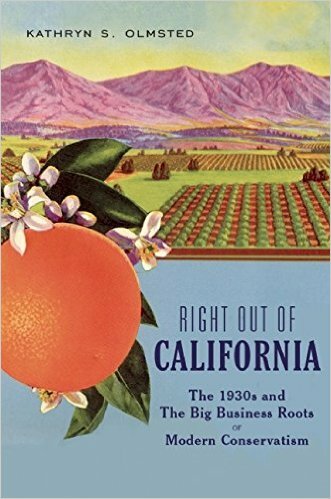 In her new book, Right Out of California: The 1930s and the Big Business Roots of Modern Conservatism, Kathryn Olmsted destroys the idea that it is this recent history which is the genesis of the current conservative philosophy holding sway over much of the United States. Instead, she brings her readers back to the 1930s. 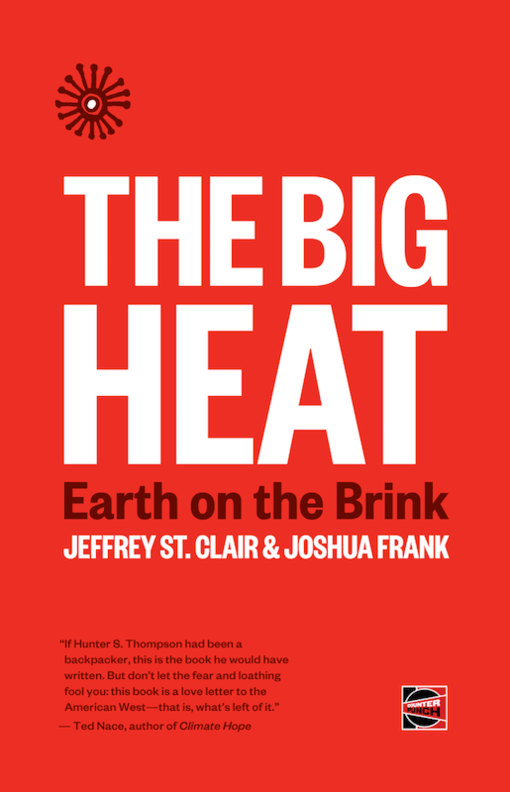 A pro-big business Herbert Hoover had been displaced from the presidency and was looking for a way to focus his anger at his electoral loss and the victory of Franklin Delano Roosevelt. Now, Roosevelt was no socialist, nor even much of a social democrat. However, he did understand that if Wall Street and US capitalism were to survive, it would have to be more inclusive in its hiring practices and, more importantly, pay people enough so they could buy the goods produced under a revitalized industrial capitalism. This concept, which seems obvious, is not understood (or accepted anyhow) by today’s conservatives than it was eighty-some years ago. Tax cuts that primarily benefit the rich and cuts to social services that help the poor remains the template for these champions of social Darwinism. The history Olmsted relates–in a rather stirring narrative–is a story of laborers in the fields of agribusiness organizing for better pay and living conditions. Led by organizers from the Communist Party of the United States of America (CPUSA), mostly Mexican and Mexican-American farmworkers walked picket lines, faced eviction from already terrible living conditions into even worse ones, saw their numbers jailed, beaten by sheriffs and company goons and even shot and killed. Olmsted specifically highlights two of the CPUSA organizers–Pat Chambers and Caroline Decker–and the roles they played. These years of labor turmoil have been covered by others, most notably as fiction by John Steinbeck. Olmsted acknowledges this while simultaneously pointing out that his two novels, In Dubious Battle and Grapes of Wrath, that are located in this time and place, are accepted as essentially truthful, despite the almost complete absence of Latinos among the workers in both texts and the portrayal of the Communist organizers as manipulative and not worthy of the workers’ trust. Not merely a discussion about the men and the money that would reshape the conservative politics of the United States, Olmsted’s text is also an exploration of the growth of the use of advertising and media to convince working people to vote against their own economic interests. Furthermore, it is a history of not just protests and their repression; it is also a look at the mechanisms put in place by big business to facilitate and maintain that repression. As I was writing this review, a news report began to filter through the internet regarding an intelligence operation set up by the rightwing Koch brothers that spies on and gathers intelligence on its opponents. This is not the first time such a thing has happened in US history. In fact, Olmsted spends several pages discussing a similar operation organized by a retired Army General who was politically very right wing. After his retirement from the military, he began to collect data on liberals, progressives, and leftists. He then shared this information with police agencies and red squads, anti-labor groups, big business legislators, news agencies and right wing politicians, many of them in the Republican Party. To his credit, Roosevelt did send members of his administration to California to investigate and take whatever action they could against the big business farmers. However, since one of the compromises he made with the southern and conservative members of Congress to get the Wagner Act (allowing union organizing in US workplaces) was to exclude farmworkers from the law’s coverage. The lawyers from Washington did their best to prevent the greatest excesses of the landowners but were also quite anti-communist. Therefore, their support of the union itself was lukewarm at best. However, like the right wing of today which considers the most timid of laws curtailing corporate America’s worst actions to be an attack on free enterprise, even the least action in favor of the farmworkers was attacked in the press and by politicians for the same reason. Of course, as Olmsted points out, these farm owners were not against the government subsidies despite the fact that they were the exact opposite of free enterprise. As we look around the United States in 2015, the effects of the politics presented in Right Out of California are quite clear. 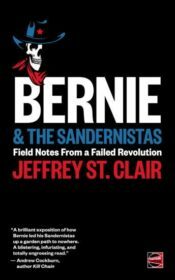 Among those effects one can count the denigration and destruction of labor unions, the cynical acceptance of the manipulation of the popular will via deception, falsehood and advertising, and the ongoing attempts to dismantle those parts of the federal government that rein in big business. Make no mistake, all of this is a result of the big business conspiracy to destroy real democracy Olmsted describes in Right Out of California.